Just 3 weeks after ordering a birthday cake for her daughter, my co-worker Dawn asked me to make a birthday cake for her own birthday which is today! 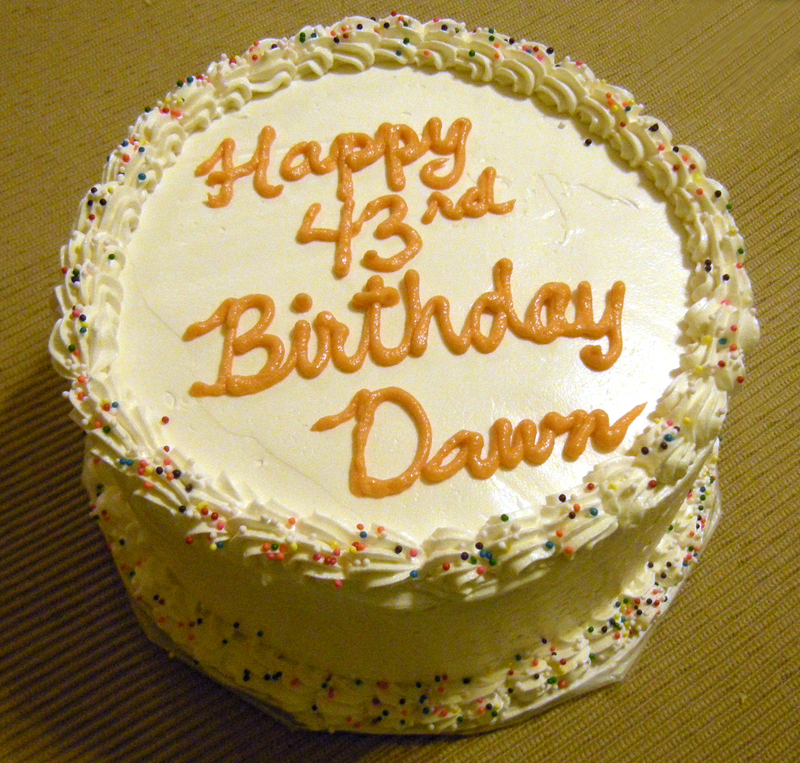 Dawn asked for chocolate cake, and again asked for “less sweet”. I made a 6″ round chocolate cake with my go-to recipe from Hershey’s. And for the icing, I went with the adapted Swiss meringue buttercream (SMBC). 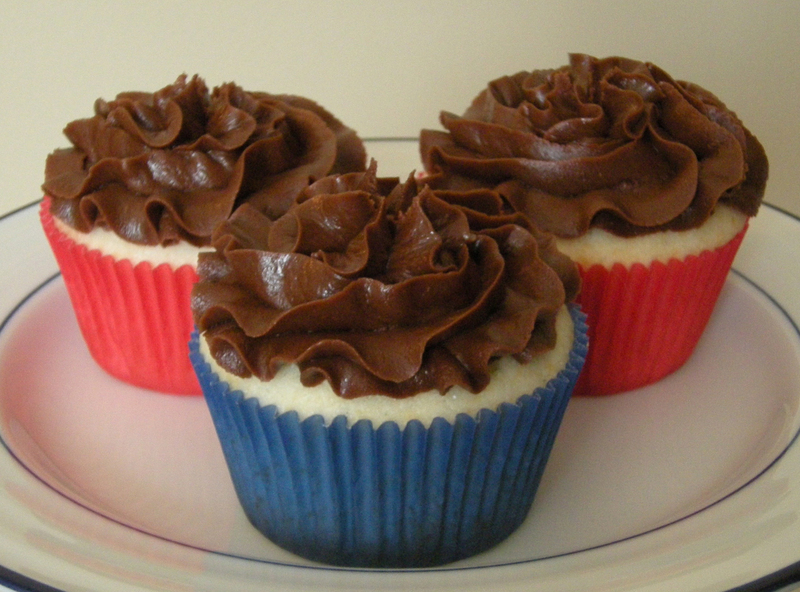 I know for sure that this icing is less sweet than American buttercream. As is often the case for me, I decided on the decoration at the very last minute. I piped a shell border and decorated it with multi-colored nonpareils. Those tiny little things bounced all over my kitchen, but I thought it made for a nice festive birthday cake. Oh and I used some orange icing I had leftover from Nancy’s cake to write the inscription. I think my writing skills are improving – very, very slowly! Lisa is a friend that I met through The Knot while planning my wedding. A couple years have passed and her first child was due to arrive in September. I was honored to make the cake for her shower! Originally, this post was a place holder. 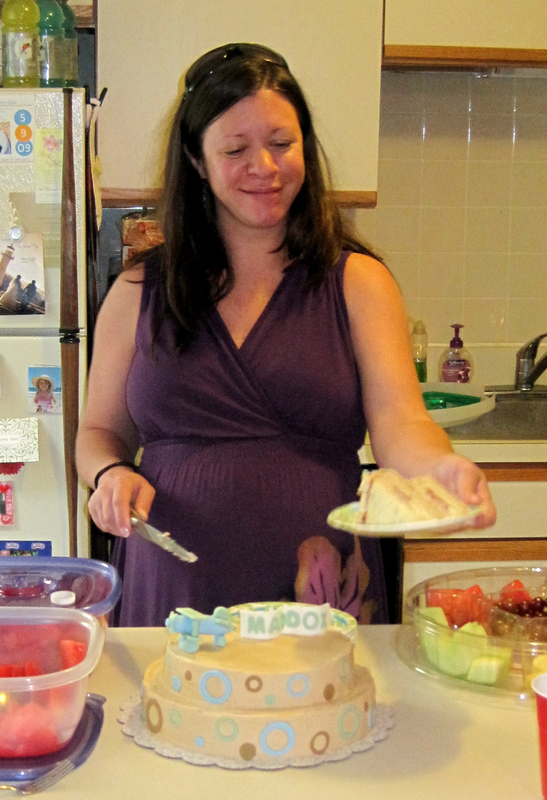 Lisa asked that I not reveal the cake until after her son was born. I was more than happy to hold the post until after the birth, which I am thrilled to say took place on Labor Day! Now back to the cake! 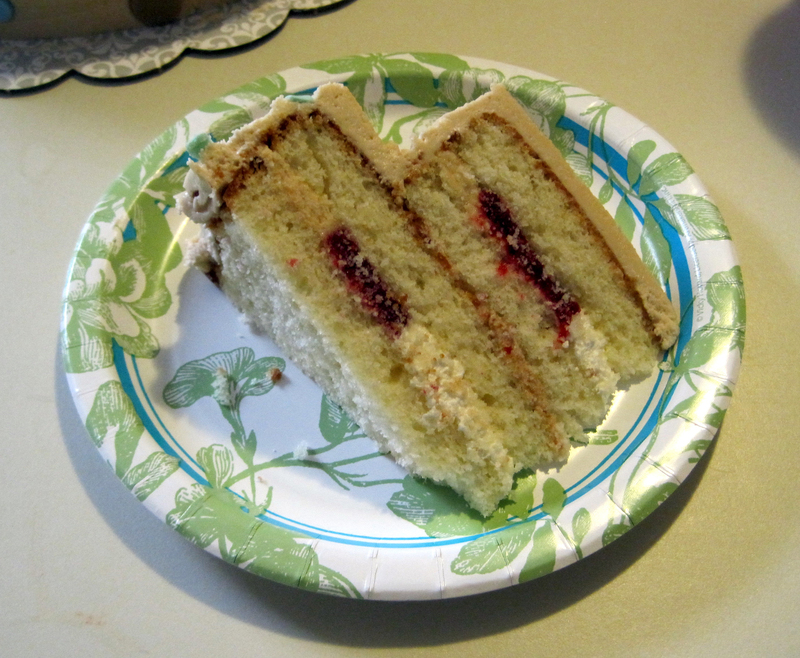 I had a tip off from one of the shower hostesses, Dani, that Lisa’s favorite cake was SugarBakers signature cake: almond cake, with amaretto buttercream and raspberry filling, and vanilla buttercream on top. I tested all of these out on cupcakes back in June so I would know what I was doing when it came time for this cake! When it came time to assemble the cake, I took the amaretto filling out and tried to rewhip it. And it curdled. And it was ruined 😦 And did I mention that it was about 11pm the night before the shower? 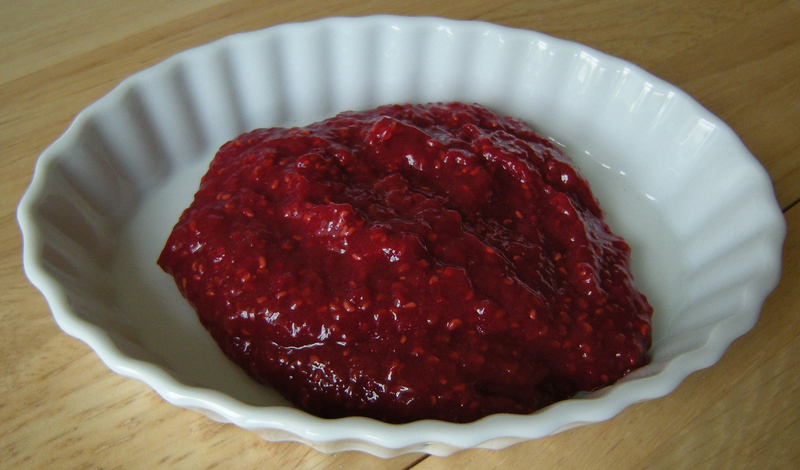 There was nothing to do but make another batch, which I did. I’m not quite sure what happened because I thought this could be refrigerated. I’m guessing I should have let it come all the way back to room temp before whipping it. 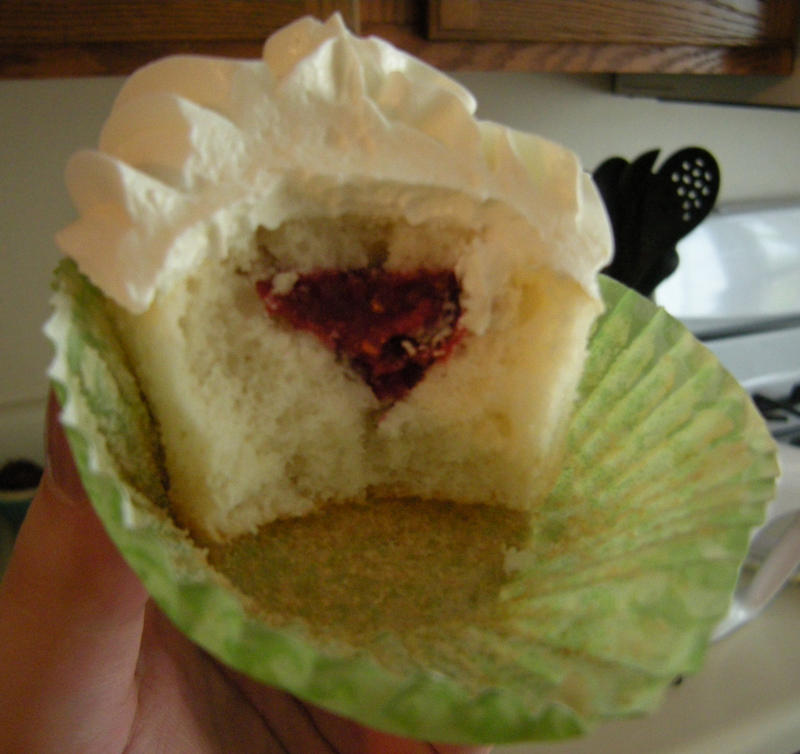 So after I had my fillings squared away, I torted both cakes and filled them with a ring of raspberry on the outside and filled the middle with the amaretto filling. I then frosted the cake with the vanilla BC icing. 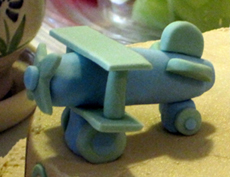 And now for the fondant decorations. 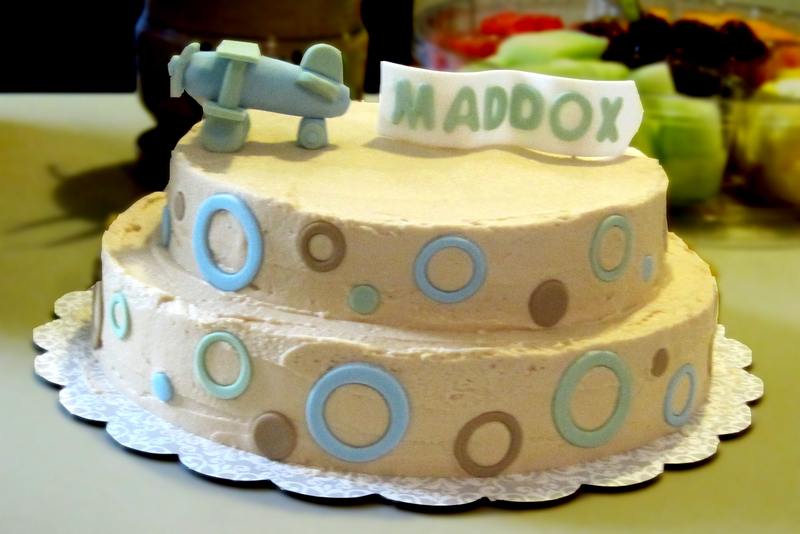 For the sides of the cake I cut out various sizes of circles and rings using cookie cutters and icing tips. (This design sort of mimics the bedding Lisa picked out for the nursery.) The picture below on the left was my inspiration picture for the cake topper. And on the right, is the one I made. It took several attempts to get the wheels to stay on and to support the plane. And I also had issues with the wings, but was able to get it to work eventually! I cut out a banner to wave behind the plane. I cut it to size with a pizza cutter and then positioned it over some rolled up wax paper to make it “wave”. After a day or so, it was hardened into place. I cut the letters out with my fondant cutters and glued them on with some water. 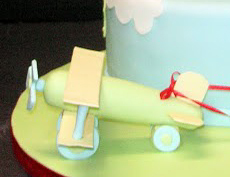 I had planned to attach the banner to the plane with some ribbon but I ran out of time. The cake went over very well and everyone seemed to love it, so I was very pleased! Here is a picture of the inside of the cake. 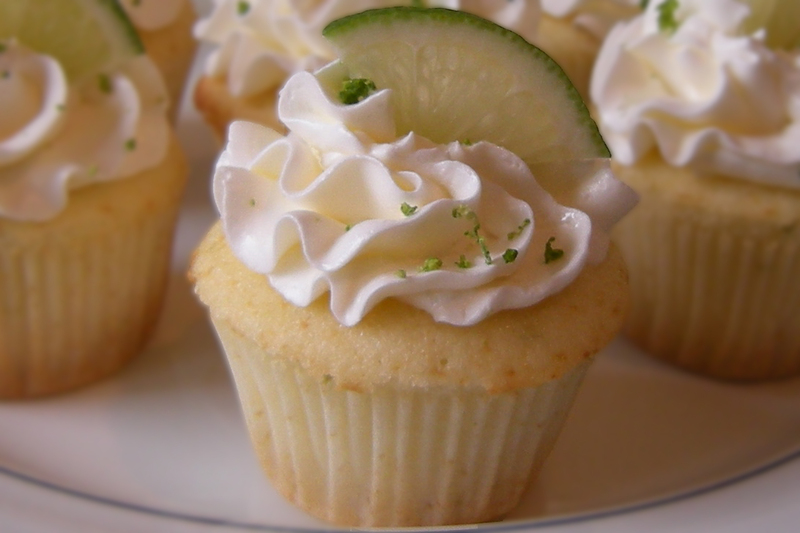 I was reading Annie’s Eats and found a recipe for margarita cupcakes. I love margaritas and of course I love cupcakes so this was a no brainer. I actually used my standard yellow cake recipe (Wilton’s) instead of the recipe on the blog because I knew I had all the ingredients on hand. I just left out the vanilla extract and added about a teaspoon of lime juice and a teaspoon of lime zest (this was for a 1/4 recipe). 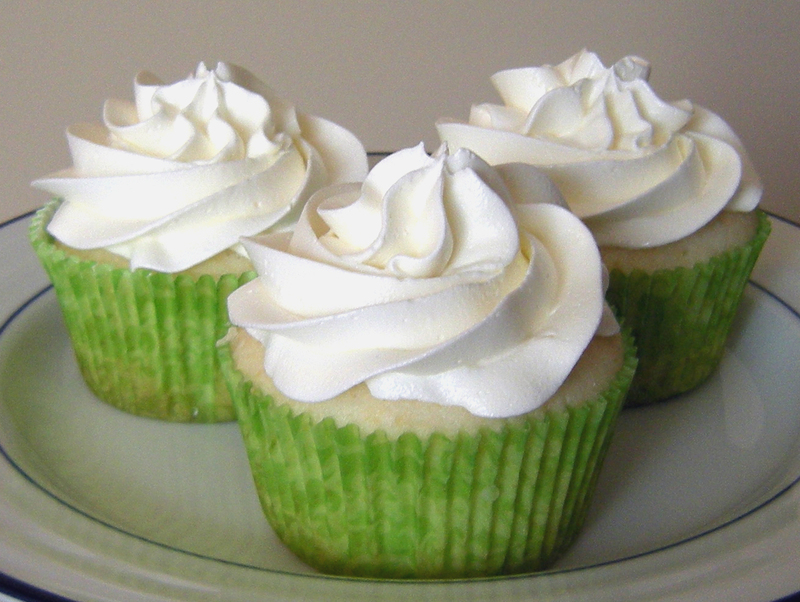 The frosting is basically Martha Stewart’s Swiss Meringue Buttercream – but with lime juice and tequila added. 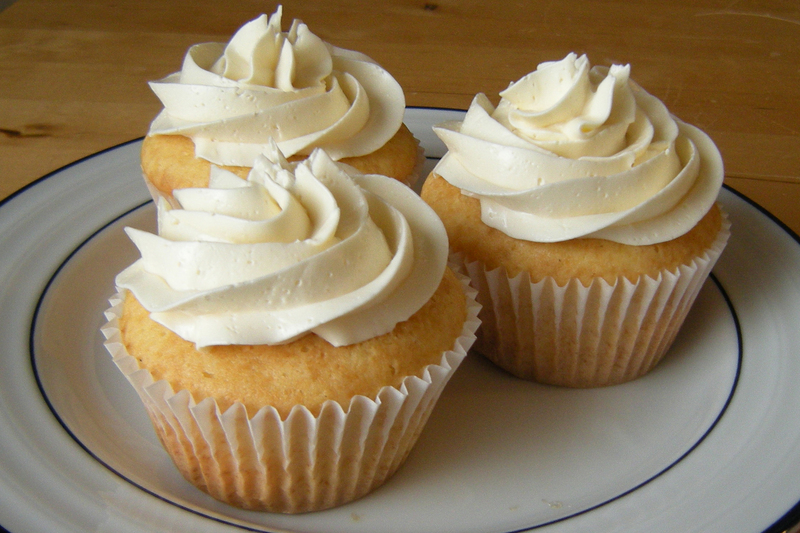 The first time I made this icing, it was honestly too buttery for my taste. This time, with the added lime juice, and the slightly different ratio of butter to sugar, I thought it was an improvement! Of course, it’s all a matter of your preference. As Annie notes in her blog, the tequila flavor really doesn’t come through. She recommended brushing the cupcakes with tequila, but I opted not to do that. I’m not a huge fan of alcohol in desserts so I was worried it may be too much. I did like her idea to make a simple syrup with the tequila, but for this time, I just added it to the icing. You are currently browsing the archives for the Swiss Meringue Buttercream category.